View the entire table of contents for the Dec. 31, 2018 issue. Wine Spectator's Alison Napjus believes that ultimately, wine is about pleasure and emotion, not technical analysis. When she sips exceptional Champagne, her first thought is not about cellar techniques. But knowledge of the details lets her form a deeper connection to the wine, solidifying it in her memory beyond the immediate experience and building an appreciation for the passion and hard work that went into its creation. Great Champagne has as much right to that respect as any still wine, and she's glad to see producers revealing their secrets so that consumers might truly understand the Champagnes they love. 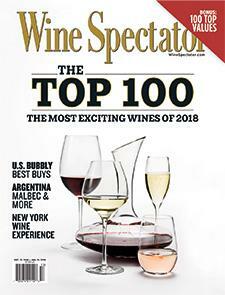 For the full article, check out the new issue of Wine Spectator, on newsstands December 4, 2018.